Hong Kong is a city that has truly embraced the High Tea experience, with its passion rivalling the British. It is a fusion of East meets West, with its urban skyline and its strong appreciation for quality food, high end international fashion and world trade. A city of wealth, Hong Kong has a population of over 7.3 million people, with one in every seven considered a millionaire. The wealth and luxurious lifestyle of many has led to luxury hotels opening throughout, offering the best money can buy with lush apartments, extraordinary views and world class restaurants and chefs. 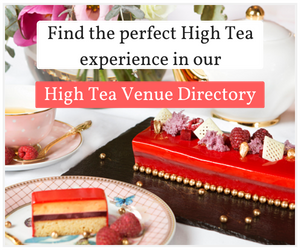 The perfect way to experience this luxury without the hefty price tag is with a High Tea experience and this list showcases the best experiences in Hong Kong. With almost 100 years of experience, The Peninsula has cemented itself as a must for High Tea goers. A dignified and traditional affair, guests will encounter a traditional English Afternoon Tea, with scones and an assortment of teas from the Peninsula Tea Collection. Seated in the grandeur of the lobby, guests are placed among ornate columns and serenaded by a string quartet. The Peninsula does not accept reservations so be advised to arrive early and prepare to queue for a table. Café 103, offers superb views of Hong Kong from 103 levels up with wall to ceiling windows and plush furniture of earthy hues throughout. Constantly looking for fresh takes on afternoon tea, the Ritz Carlton change their menu and collaborations multiple times a year. Currently, guests can enjoy the MOSCHINO Afternoon Tea inspired by MOSCHINO’s Pre-Fall Collection. Enjoy panoramic views of the Victoria Harbour while enjoying a traditional or Chinese inspired Afternoon Tea. The contemporary 5-star hotel is a luxurious experience with guests dressing to impress and wealth in abundance. Throughout the year, the InterContinental offers unique experiences, currently collaborating with Guerlain in celebration of 190 years of creation. The Palm Court is a refined and elegant venue with stone flooring, painted timber columns, plush arm chairs and ornate finishes. Guests can enjoy the traditional “The Langham Afternoon Tea with Wedgwood” served on Wedgwood china or a speciality menu which is introduced for different seasons or events. The Clipper Lounge situated within the Mandarin Oriental is well loved venue and institution. There is a large variety of tea on offer, as well as unique menu inclusions such as their famous rose petal jam. Menus are themed and change seasonally. The Lobby Lounge is a cosy spot for afternoon tea. With only seating for 54 people, patrons can expect an intimate affair with timber finishes and comfy armchairs. The menu changes throughout the year and it is currently presenting Voyage to a Blooming Garden, complete with floral delights for all. The Tea Saloon is the third instalment from the women behind Another Fine Day, dedicated solely to providing a relaxed, fun and girly Afternoon Tea. Guests can enjoy either the Ladies (sweet) or Gentleman’s (savoury) High Tea set and choose from the 9 varieties of house branded tea. The venue itself is like stepping into a Victorian homestead, with hues of pinks and purples, making it the perfect place for a girls’ day out. The Café Gray Deluxe offers elevated views of the Victoria Harbour and the cityscape, with large and spacious windows. The menu showcases delicate combinations and exciting flavours somewhat unique to the High Tea world. The venue itself is sleek and luxurious with plush furniture and the view from 49 floors above. This Afternoon Tea is for those who enjoy a modern interpretation on the classic. The menu changes seasonally and is often in collaboration with a high-end fashion or jewellery brand. There is a good variety of tea to choose from and scones are served with jam and clotted cream. 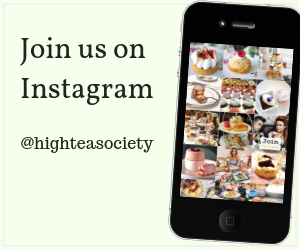 If you’re looking to enjoy a High Tea in a more relaxed setting, this is the place for you.